More talented New Zealanders will soon get the chance to compete on the global stage in the rapidly-growing sport of futsal after the establishment by New Zealand Football of three new national teams, including a Futsal Ferns side for the country’s elite women. Male and female age-group U-18 squads will also be introduced, complementing the existing Futsal Whites national men’s side and meaning a clear player development pathway to senior international level will now be available for both genders. The introduction of the new teams arrives after a period of huge growth for the indoor small-sided game since it was brought under the umbrella of New Zealand Football in 2010. There has been a 340 per cent increase in playing numbers in the past six years with over 22,000 futsal players now registered and the New Zealand Secondary Schools Sports Council officially recording futsal as having the largest percentage growth of all its codes throughout that time frame. While all areas of futsal have flourished, the women’s game has experienced a particularly high rate of development with a 23 per cent rise in participation since 2015. 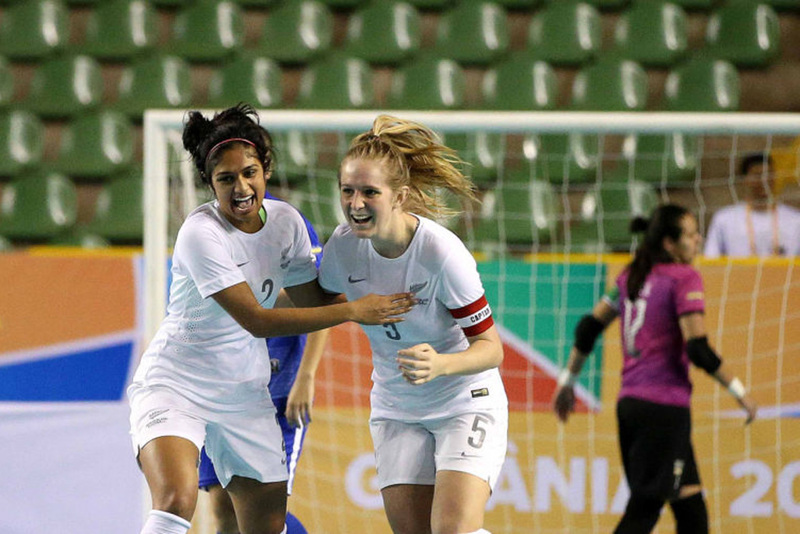 “With the rapid growth of futsal in New Zealand, especially in the women’s space, it is crucial to offer a complete player pathway for the women involved in the game,” New Zealand Football Chief Operating Officer Dave Payne said. The group of players who make up the inaugural squad are set to create history but it will not be the first time New Zealand has been represented at women’s international level. A national side was put together to compete in the FISU World University Futsal Championships in Brazil a year ago and even earned the country’s first-ever point at a world event with a 2-2 draw against Kazakhstan, as well as taking a shock two-goal lead over defending champions Brazil before being defeated. While there is currently no FIFA Women’s Futsal World Cup in place, the freshly-established Futsal Ferns will not have to wait long to make their mark with a three-match international Trans-Pacific Series against New Caledonia already lined up. These ground-breaking fixtures will take place in Tauranga from 12-14 September as exhibition matches as part of the AIMS Games, a nationwide event that brings together intermediate-aged children to compete in a range of sports. While the new national teams will be a key focus for New Zealand Football’s futsal department moving forward, the Futsal Whites have far from been forgotten and will join their female counterparts in taking on New Caledonia three times during the AIMS Games. The AIMS Games themselves are a further example of the spread of futsal across the country with the number of girls teams doubling from last year and the boys growing by 30 per cent. More teams have come out of regions that had not previously been represented, indicating the game is gaining momentum in areas where it had earlier struggled to get a foothold. In addition, the NZF National Youth Futsal Championships continue to attract huge numbers with over 700 players set to converge on Central Energy Trust Arena in Palmerston North over three days from today for the 2017 edition of the tournament. “With the introduction of the new national teams, the talented young players that emerge from tournaments such as these now have a clear pathway right to the top and a range of opportunities that have never been on offer before,” Payne said.